24th April 2013, Day One of the conference. Hélène Lewis welcomed everybody. Please click on the picture on the left or here to see all of Evelin's photos of Day One. Please click on the picture on the right or here to see all of Shweta's photos of the entire conference. 25th April 2013, Day Two of the conference. Please click on the picture on the left or here to see all of Evelin's photos of Day Two. 25th April 2013, the Public Event of the conference, with Hélène Lewis speaking about 'A Dignity Renaissance: Can There Be Too Little Shame? The Link Between Dignity, Shame, Humiliation and Humility'. Please click on the picture above or here to see all of Evelin's photos of Day Two. 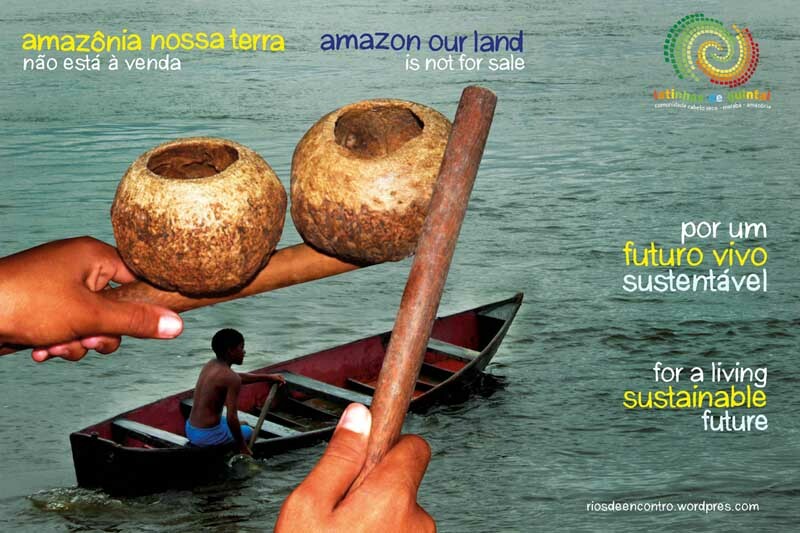 On 25th April 2013, after Hélène Lewis spoke at the Public Event of the conference, Dan Baron joined us live from the Amazonian North of Brazil from the arts-based pedagogical work he and his partner Mano Souza conduct. 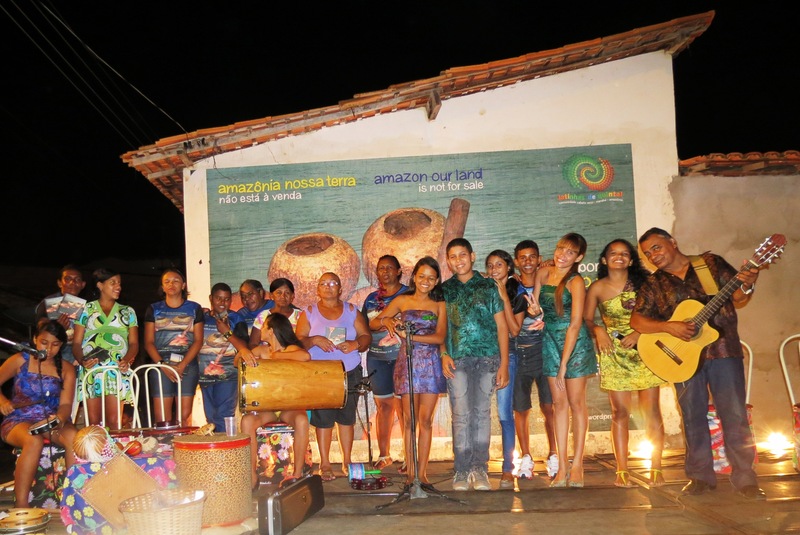 We invite you to participate in the launch of the CD 'Amazon Our Land' by the young artists from the band 'Backyard Drums', from the project Rivers of Meeting, this Saturday from 7pm onwards, in the Afro-Indigenous community of Cabelo Seco, between the Amazonian Rivers Tocantins and Itacaiúnas. Please click on the pictures above or here to see all of Dan's photos. 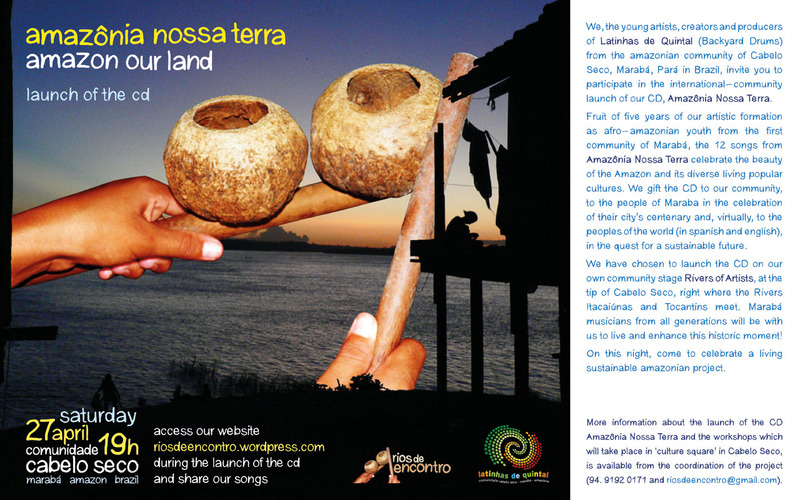 Please see also the CD Amazonia Nossa Terra Rios de Encontro 2013 (CD cover, CD booklet) by the Latinhas de Quintal of the Afro-Indigenous community of Cabelo Seco ("dry hair"), Marabá, Pará, Brazil. 26th April 2013, Day Three of the conference. Please click on the picture on the left or here to see all of Evelin's photos of Day Three. 27th April 2013, Day Four of the conference. Please click on the picture on the left or here to see all of Evelin's photos of Day Four. 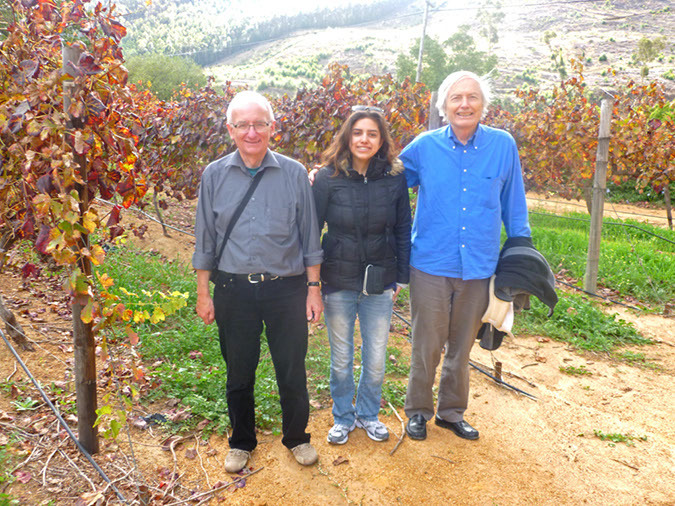 On 28th April 2013, the day after the conference, Howard Richards and his granddaughter Justine, together with Uli Spalthoff and Evelin, went on a small round-trip from Stellenbosch. 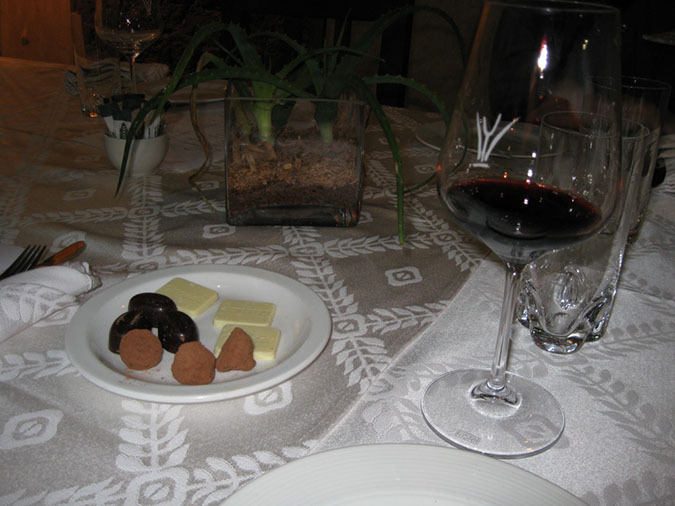 First, Uli brought us to the Muratie Wine Estate, then to the Tokara wine and olive oil estate. 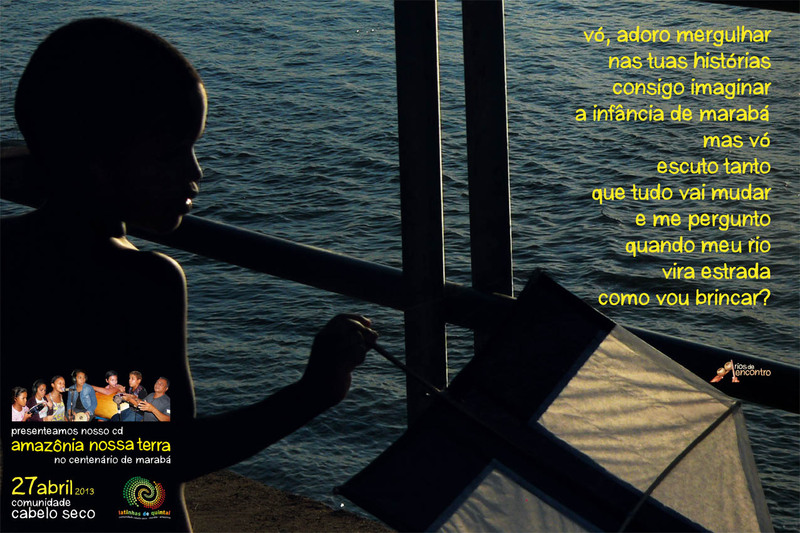 Please click on the picture above on the left or here to see more of Evelin's photos. Please click on the picture above on the right or here to see more of Justine's photos from 23rd - 30th April. 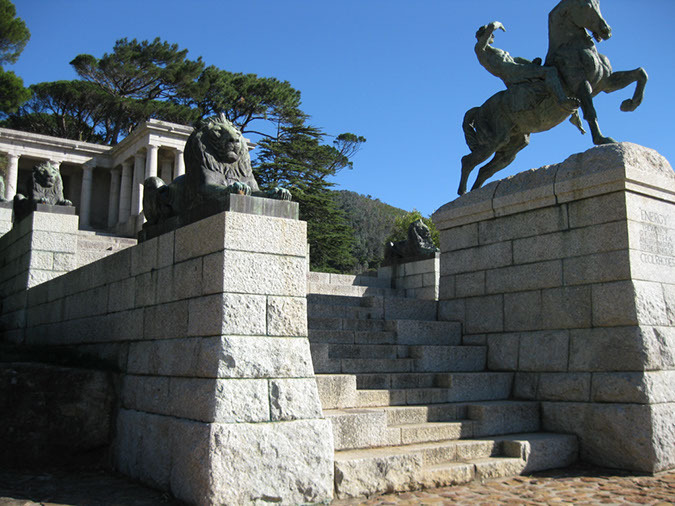 On 29th April 2013, we saw the Cecil Rhodes Monument with its great view over Cape Town, and the Waterfront of Cape Town with its sad prison-like fortresses of supposed "elite property." 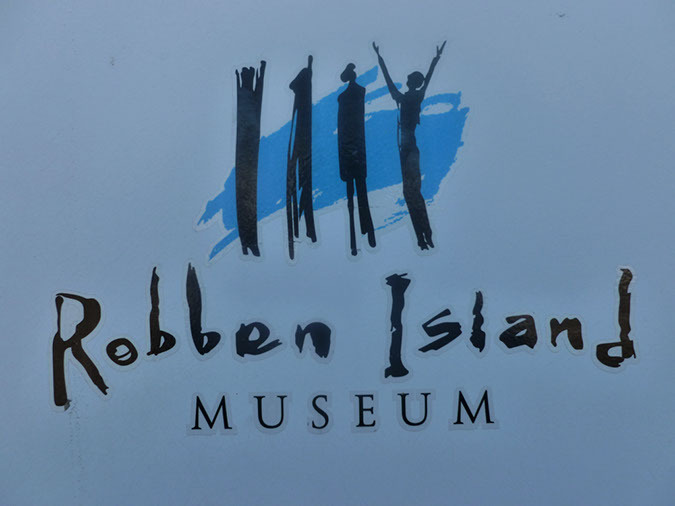 On 29th April 2013, we also went to Robben Island. 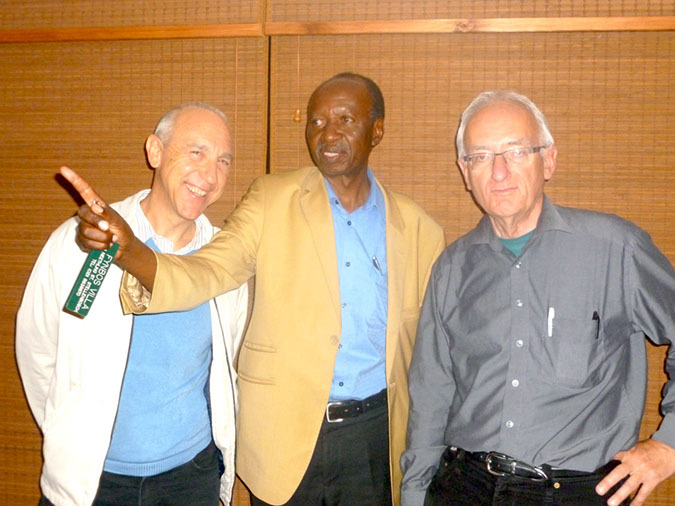 On the 30th April, Howard Richards, his granddaughter Justine, and I, we joined Uli Spalthoff on his way to the airport. 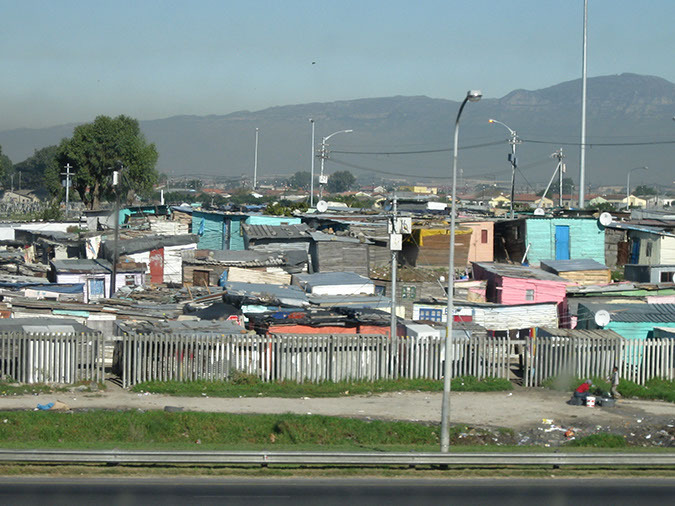 We passed at Mitchell's Plain, a largely coloured township about 32 km from the city of Cape Town, where Howard and his colleagues have a project. Please click on the picture above here to see more of Justine's photos from the entire period of 23rd - 30th April. • Biko, Stephen Bantu, & Stubbs, Aelred. (1979). 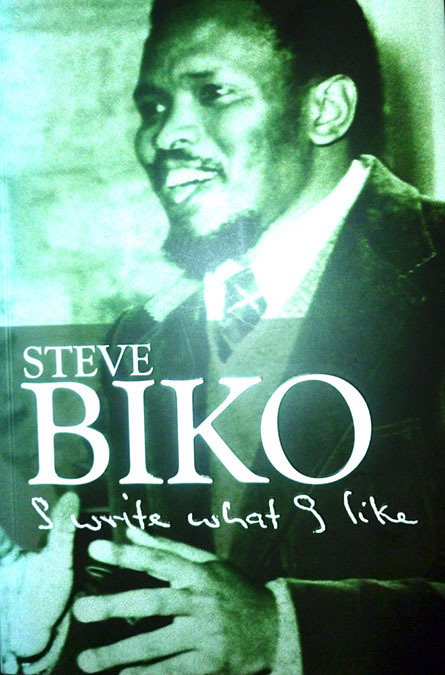 I write what I like: A selection of his writings. London: Heinemann. 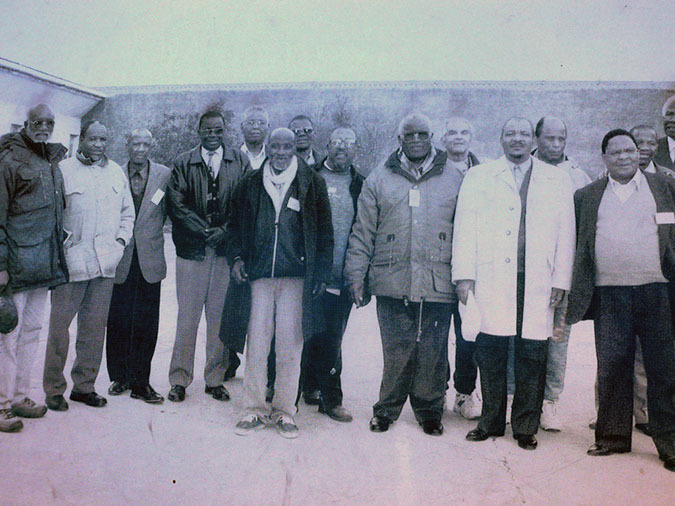 • Gobodo-Madikizela, Pumla. (2003). 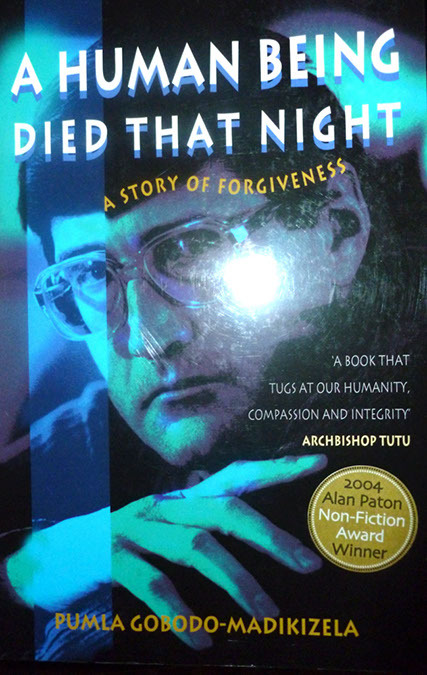 A human being died that night: A South African story of forgiveness. Boston: Houghton Mifflin. • Hedges, Chris. (2009). Empire of illusion: The end of literacy and the triumph of spectacle. New York: Nation Books. • Jansen, Jonathan D. (2009). 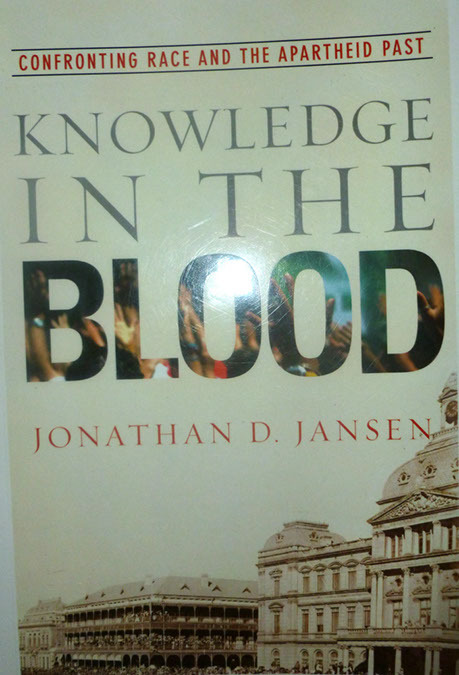 Knowledge in the blood: Confronting race and the apartheid past. Stanford, CA: Stanford University Press. 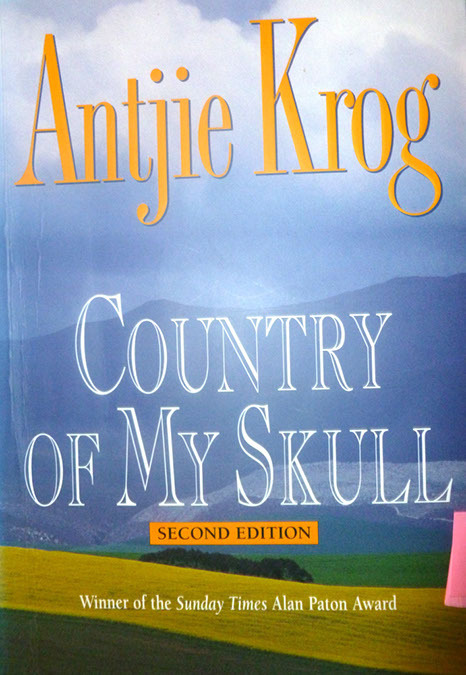 • Krog, Antjie. (1998). Country of my skull. Johannesburg, South Africa: Random House. -- (2003). A change of tongue. Johannesburg, South Africa: Random House. -- (2010). Begging to be black. 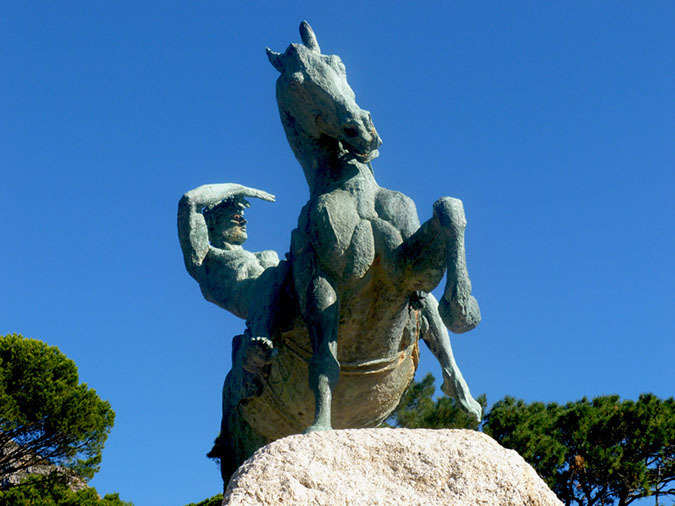 Cape Town: Struik. • Ramphele, Mamphela. (2008). 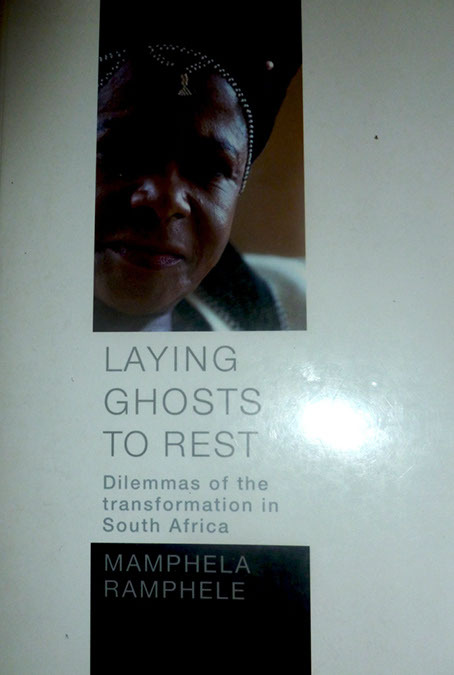 Laying ghosts to rest: Dilemmas of the transformation in South Africa. 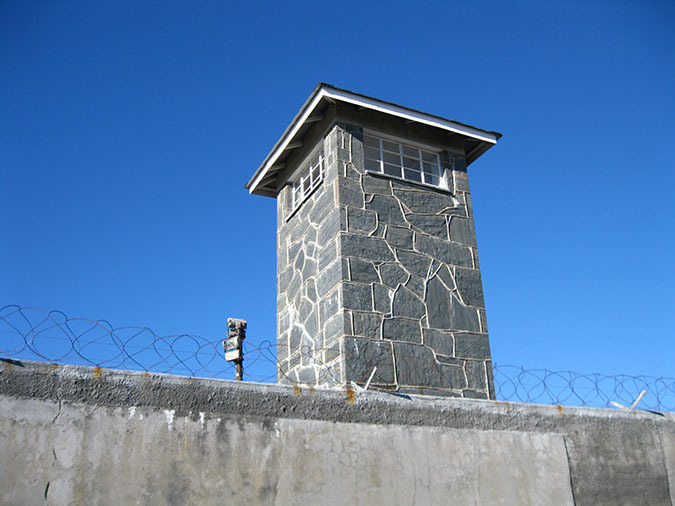 Cape Town, South Africa: Tafelberg. 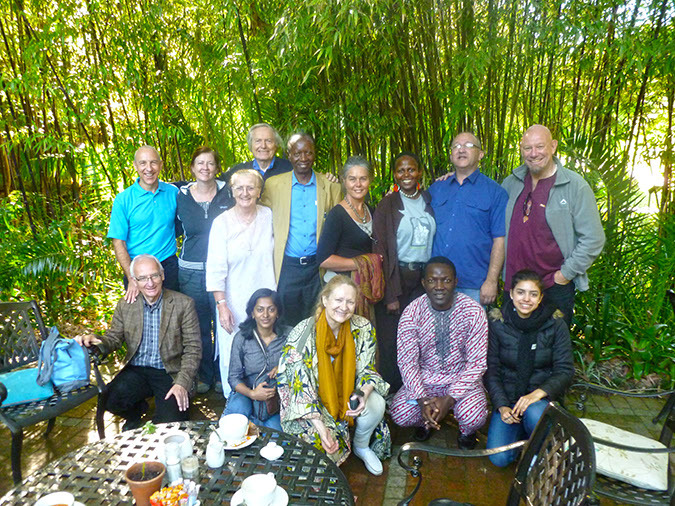 We had a wonderful conference in Stellenbosch, South Africa! The conference had the title 'Search for Dignity'. And please send us your pictures of the conference to upload! All our conferences are part of our ongoing relationship-building work (rather than 'stand-alone' events). 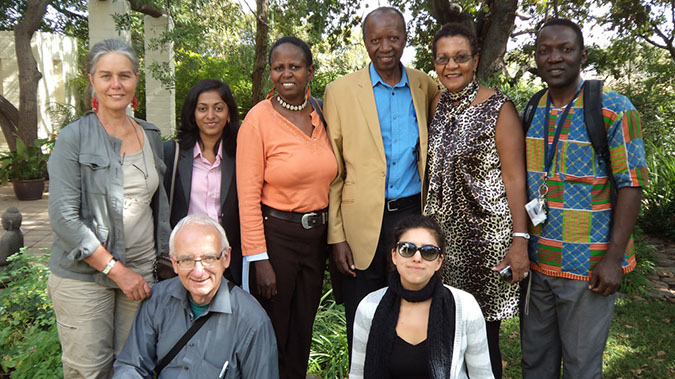 We wish to nurture a global community of people who strive to bring more dignity into the world. Our 21st Annual HumanDHS conference was yet another overwhelming conference, unique in its intensity. 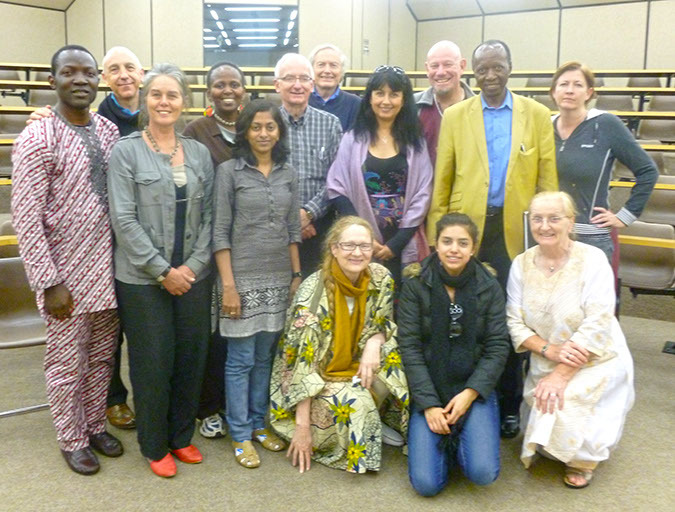 What was particularly remarkable in this conference was the diversity of our participants from many corners of the world: South Africa, South Africa/Namibia, South Africa/Botswana, Swaziland, Rwanda, Nigeria, UK/Kenya/Australia, India, Northern Ireland/South Africa, Ethiopia/South Africa, Germany, Berber/France/Norway/global, and Silesia/global. 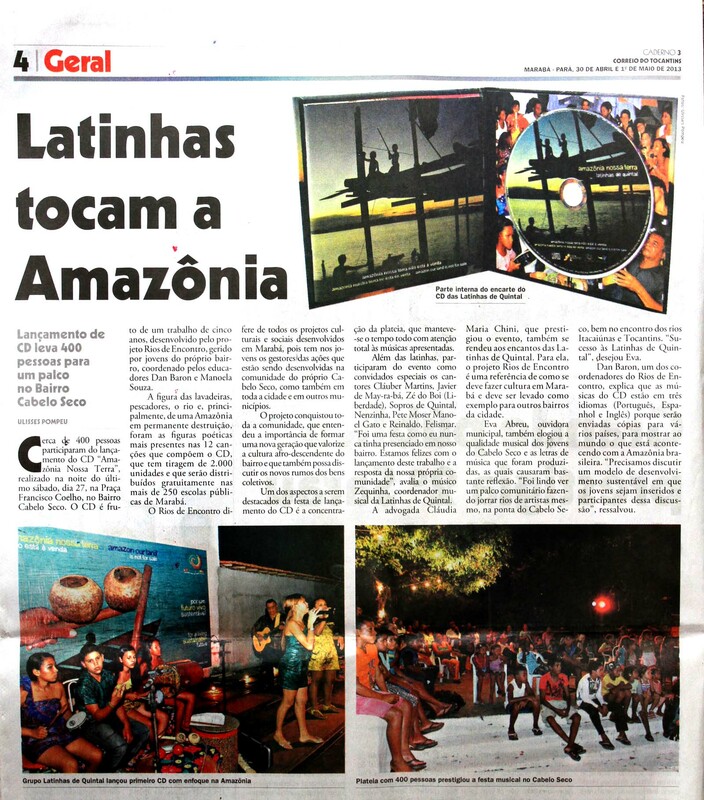 In addition, we observed that all participants shared a particular biography of extreme mobility, geographically and also with respect to their life paths, throughout their lifetimes.  last but not least, as always, we again attempted to be at the cutting edge of experimenting with technology that has the potential to connect people who otherwise would stay isolated. 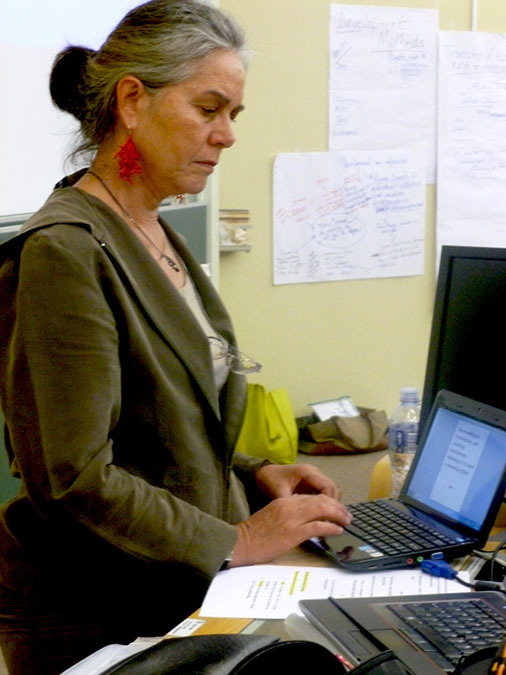 We are particularly grateful to our host, organiser, and convener, Hélène Lewis. 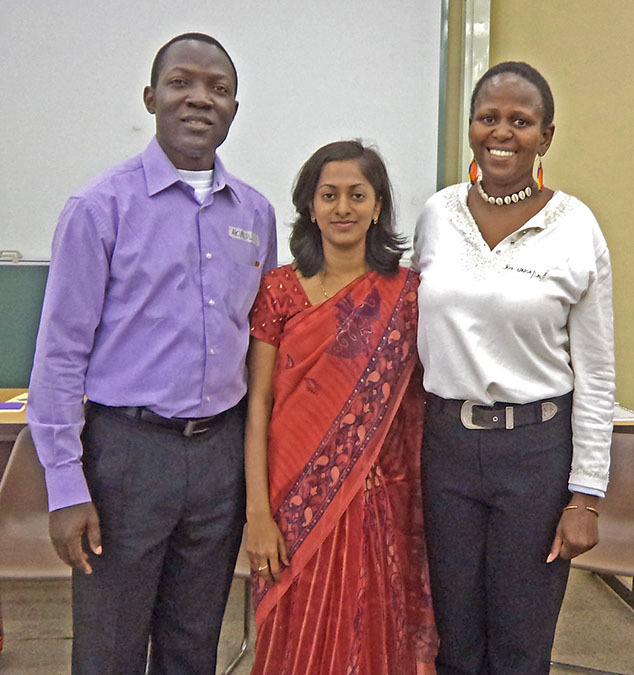 We are deeply thankful for Hélène's extraordinary leadership that she has extended to us! 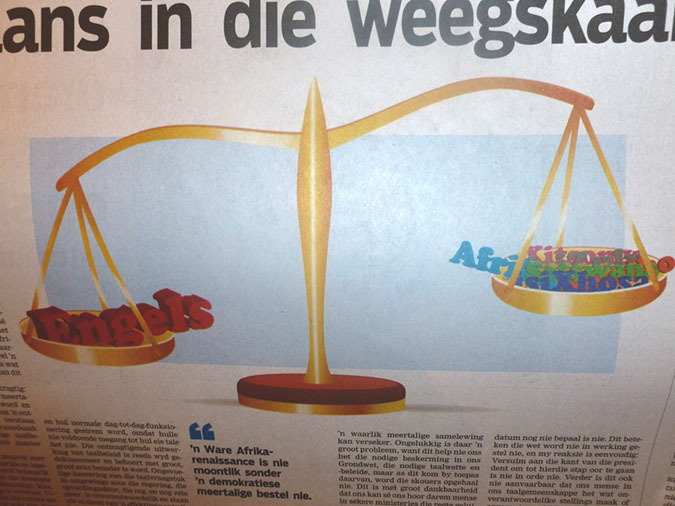 She, in turn, received kind support from the administration of the University of Stellenbosch! Thank you! Hélène's caring presence was remarkable. She never forgot even the smallest detail, from her generous pre-conference preparations to her wonderful guidance and interventions throughout our conference. Then we want to thank all participants for their breathtaking insights and deep passion for taking action and building relationships! Thank you for joining hands in making this one of our most special and most memorable conferences. Everyone participated by not only offering their particular personal perspectives but also engaged in an enormously enriching process of co-creating new meaning. 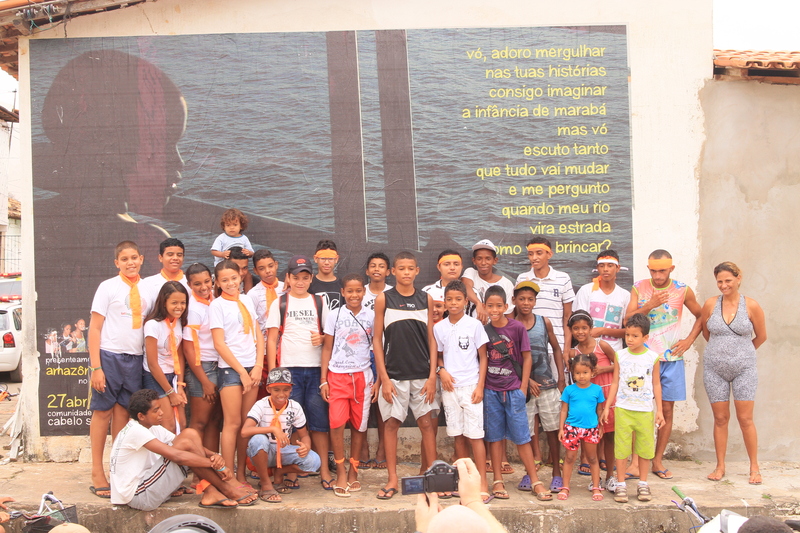 We would also like to convey our loving gratitude to Dan Baron who was able to speak to us from Brazil! 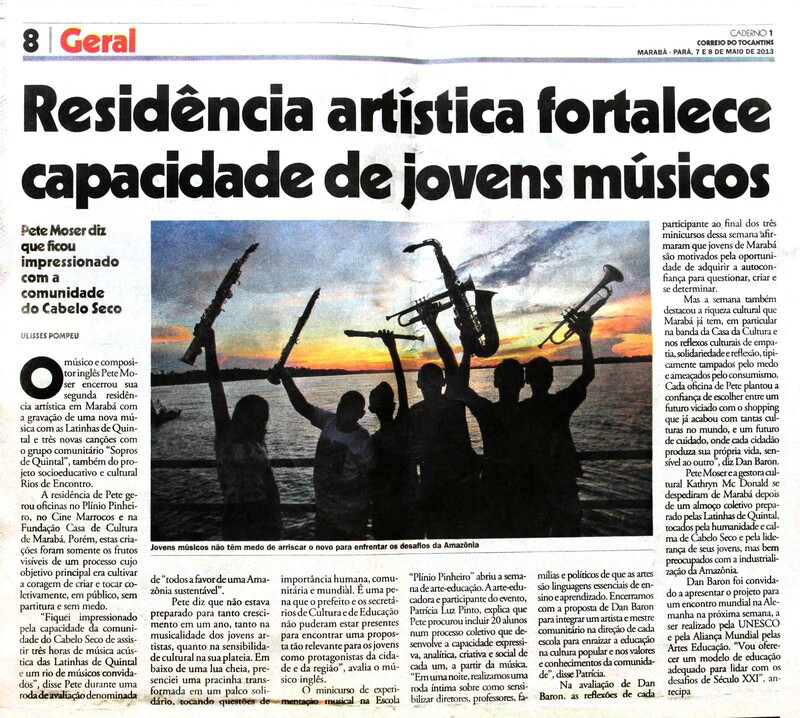 We still are deeply touched by your account of the dramatic events in Cabola Seco, including the violence experienced by a young artist-leader from the Latinhas de Quintal (Backyard Drums). 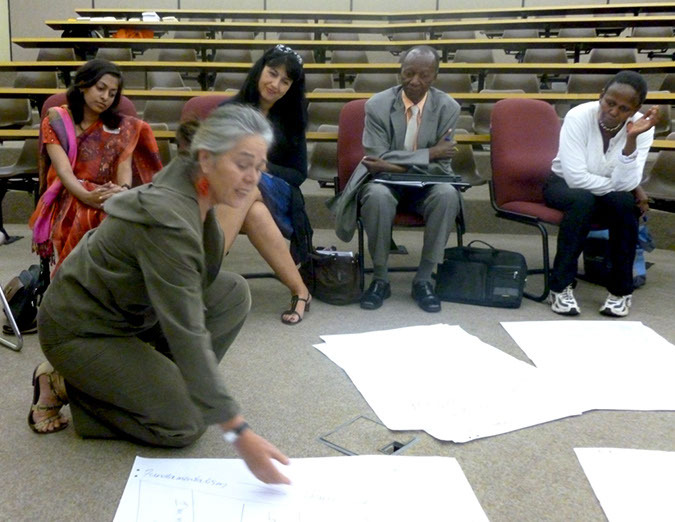 'We' includes the participants of the 2013 conference 'In Search for Dignity', held from 24th to 27th April in Stellenbosch, South Africa. In sum, this was yet another of our 'unconference' conferences: It was a unique, co-created conference. Rather than organising time around keynote presentations, we organised around human-to-human conversations, taking a highly collaborative approach to planning our time together. More precisely, we used a format of Open Space Dignilogue Sessions. These are conversations on topics proposed by participants. On the first day of the conference, we invited everybody to offer a topic and be a dialogue facilitator/leader for her or his session. Everybody was also open to other proposals. Those participants who wished to propose a topic, described it. Then, as a group, we combined and prioritised ideas as needed, so as to finalise the schedule for the rest of the conference. The Open Space process encouraged all of us to meet in a spirit of mutual support, equal dignity, and flexibility, which enriched the conversations throughout our 'unconference' conference. We invited volunteers to videotape Dignity Dialogues for the World Dignity University initiative following each Open Space Dignilogue Session. These dialogues were intended to briefly summarise the key points from the Open Space discussions, providing documentation of the group's conversation. For an example of a video dialogue, please see here. • 'Global Citizenship' by Akinlolu Makinwa. In this video, Akinlolu O. Makinwa summarises the session titled 'Gobal Citizenship' that was part of the Open Space Dignilogues of the conference. The video was recorded 27th April 2013 by Justine Richards. 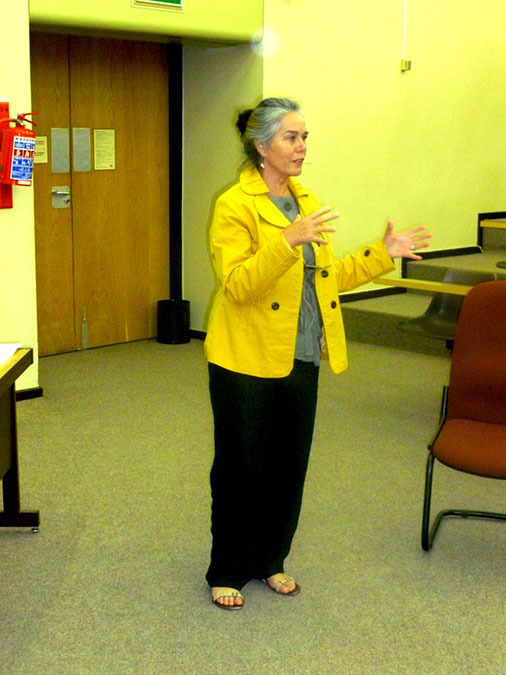 In addition to the three-day workshop for HumanDHS members and friends, Hélène Lewis hosted a Public Event titled 'A Dignity Renaissance! Can There Be Too Little Shame? 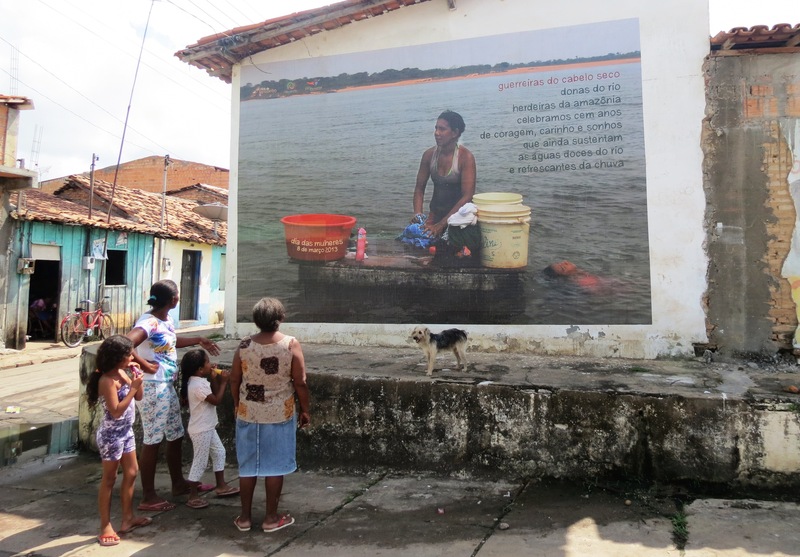 The Link Between Dignity, Shame, Humiliation and Humility', on 25th April 2013, 14.00 - 16.00. Everybody was invited to bring interested colleagues and friends to this event. There is no charge for the HumanDHS conferences or our online sessions. However, in the spirit of shared responsibility, we always attempt to assess expenses during the conference and invite participants to contribute according to their ability. 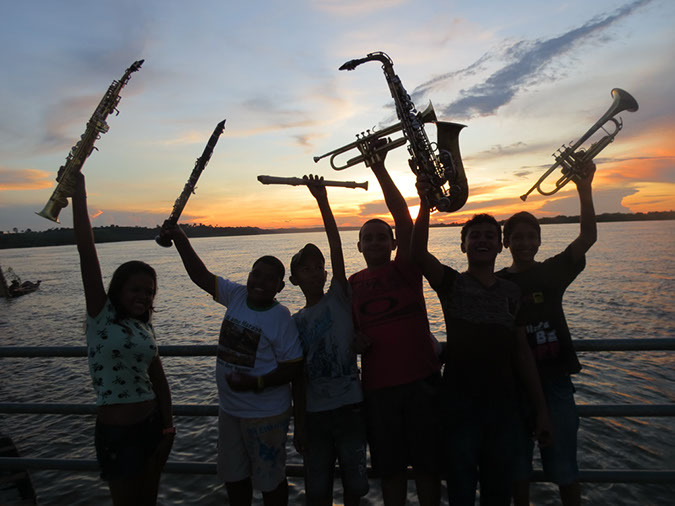 We also gladly welcome electronic contributions in support of our work. Again, we warmly welcome you to all our conferences. We appreciate your willingness to be an essential part of our gatherings. Your participation is of great importance. We are certain that your contribution will have enduring reverberations not only for your work, but also for our network of scholars and practitioners working throughout the world. With the highest regards and the warmest wishes! I would like to repeat my apology for having bored some of the participants in this conference with my introductory talk. I think the lesson must be to change my approach in the future. I will attempt to make an even clearer separation between the two hats I wear: one of a convener, and one as a researcher. It is of extreme importance to me to make clear that as a convener I am merely a 'gardener', a nurturer of space for dignified relationships. My personal scholarship is something completely separate. With my scholarship, I wish to inspire everybody to find their own approach to conceptualising the field of dignity, of honour, of humiliation, of respect, and so forth. Unity in diversity is the motto for dignity also with regard to research and theory building (see my article 'How Research Can Humiliate'). My path is meant to nurture unity in diversity, rather than uniformity without diversity. Linda and I, we wish to refrain as much as we can from building an 'empire' with our particular approaches to these topics. The second lesson for me to learn is that I should contribute with my personal views later in the conference, on Day Two or Day Three, when I have met the other participants in more depth and have understood where they stand. I myself get very bored and rather frustrated when I receive advice that treats me as ignorant, while I might be even more informed than the adviser. It pains me when I have to admit that I have perpetrated the very same indignity on others. I am profoundly thankful that my apologies have been heard and accepted by those participants who, indeed, felt bored by my presentation! A profound thank-you to you! Your acceptance means so much to me! 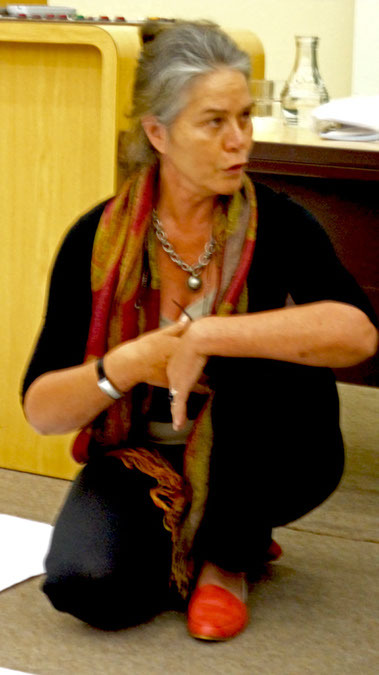 New York in December 2013, then in Chiang Mai, Thailand, in March 2014, again in New York in December 2014, then in Rwanda in May/June 2015, and in New York in December 2015.